AV-Rated attorney Deandra Grant is a national speaker on trial skills and DWI law and science. She is also the co-author of The Texas DWI Manual. Deandra has completed the standardized field sobriety testing certification course, the SFST instructor course, a drug recognition course, and is one of the few attorneys to pass the forensic sobriety assessment certification exam. She has completed coursework in DWI forensic blood testing and the operation and scientific theory of the Intoxilyzer 5000. In 2011 she received a certificate in forensic gaschromatography from the American Chemical Society. She is a TCDLA Board Member (DWICommittee Chair 2012-13) and has served on the board of the Dallas Criminal Defense Lawyers Association since 2007. She is also a member of the American Chemical Society and the American Academy of Forensic Sciences. 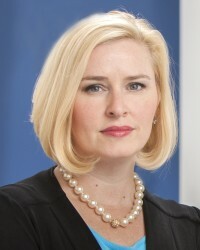 D Magazine named Deandra one of the Best Women Lawyers in Dallas in 2010 and Best Lawyers in Dallas in 2011. She was also named a “Super Lawyer” in 2011 and 2012. In 2013 she was named one of Texas’ Top Rated Lawyers.